Trying to take a selfie atop a fort proved fatal for a youth as he fell from there and died in Reasi district of Jammu and Kashmir, police said in Jammu on Saturday. 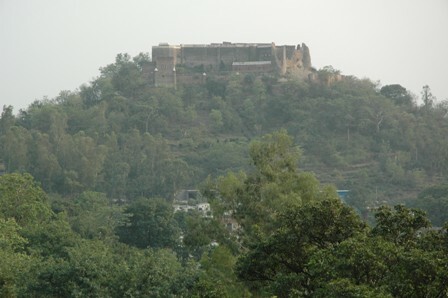 The deceased, identified as Abhishek Gupta (20), went to the Reasi Fort along with his three friends on Friday, a police official said in Jammu.Abhishek climbed to the top of the fort to take a selfie. Suddenly, he slipped and fell on a boulder resulting into head injuries, he said. He was rushed to the district hospital in Reasi where doctors declared him as brought dead, the official said. "Though his friends advised him not to go to the extreme end to take the selfie but he insisted and lost his life," the official said.He said the body was handed over to the family members after conducting all legal and medical formalities.